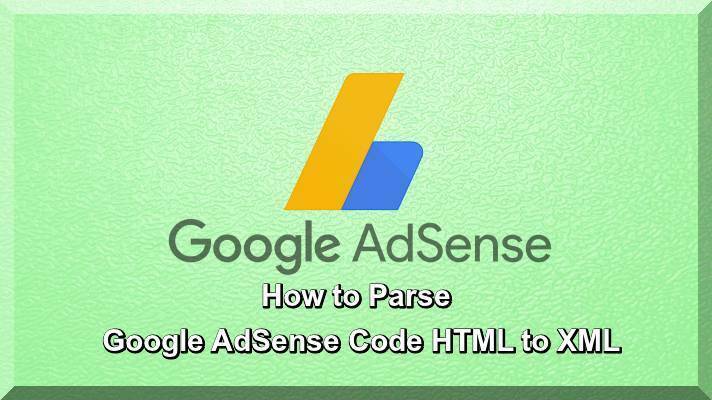 This Tutorial is about how to parse Google AdSense Code in blogger, some time in blogger template area AdSense code creating errors, and Google allowed to you to parse the code and paste it in blogger blog template area. HTML Parser was made so Google AdSense can be included into the collection of Blogger Layouts. In any case, on the off chance that anything you include Blogger Layout gives a mistake, almost certainly putting it through the parser would take care of the issue.